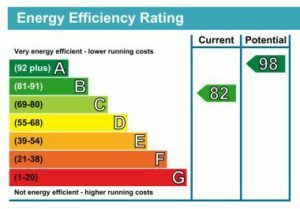 SAP calculations (Standard Assessment Procedure) or OCDEA (On-Construction Domestic Energy Assessment) is the approved calculation method used to provide analysis of domestic ‘new build’ properties to ensure energy efficiency standards are met to comply with the current Part L Building Regulations. 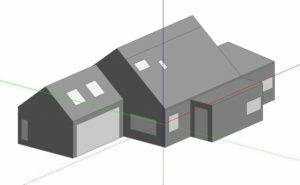 In addition to new dwellings, we use SAP calculations for extensions to existing houses and for conversions. A lot of our work is carried out in Devon, Cornwall and Somerset but SAP calculations are a desk based assessment so we can help wherever you are based in the country. To carry out SAP calculations, we require a set of drawings to include floor plans, sections and elevations, together with a specification for the building detailing the heating strategy, hot water provision, ventilation information (if mechanical) and u-value calculations for the performance of the roof, walls and floor, as well as performance figures for the glazing and doors. The SAP calculations software is then populated with geometry information and the heating, hot water and ventilation strategy and the report run to create a dwelling emissions rate and a target emissions rate. The dwelling emissions should match or better the target emissions to ensure compliance with Building Regulations. To ensure a fabric first approach, there is now a fabric energy efficiency target to meet also, which is derived from a combination of u-value performance, air tightness, thermal mass and thermal bridging. Getting the fabric performance right is the first step to ensuring overall compliance. As qualified SAP Assessors we can provide you with a Predicted Energy Assessment (PEA) at design stage, which can be submitted direct to Building Control. Upon completion of the building work, we can update the calculations with any necessary changes and provide you with the as built stage SAP compliance report. Together with the SAP calculations, an EPC (Energy Performance Certificate) must be produced when the building is complete. We can complete this regardless of whether or not we carried out the initial SAP calculations at design stage. A SAP EPC is needed for a domestic building, assessed under Building Regulations Approved Documents L1A and L1B. If your project is non-domestic then this is assessed under L2A or L2B and different calculations are required; please see our page here for more information. U values form a key part of the SAP calculations and detailed evidence of the figures used is required. If you are unable to calculate your own u values then we can do this for you, provided we have the full specification of the thermal element.